TOPDRIFT ROUND 4 IS HERE! So last round before the season’s over…. make it count! TOPDRIFT ROUND 4 – WILLOW SPRINGS WALL SPEEDWAY – NIGHT DRIFT! 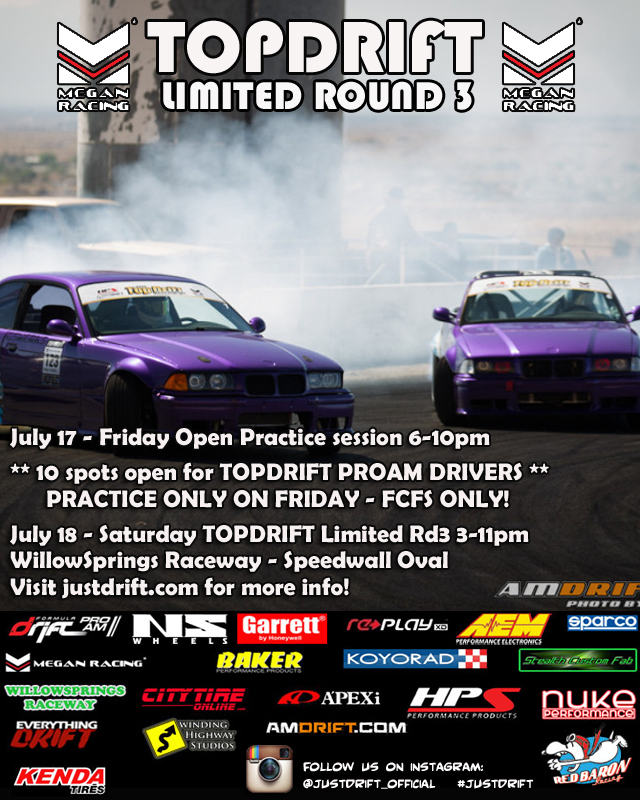 JUSTDRIFT | admin July 28, 2015 | Comments Off on TOPDRIFT ROUND 4 IS HERE! #ASB15 #ASB15PREP IS HERE! ARE YOU READY? 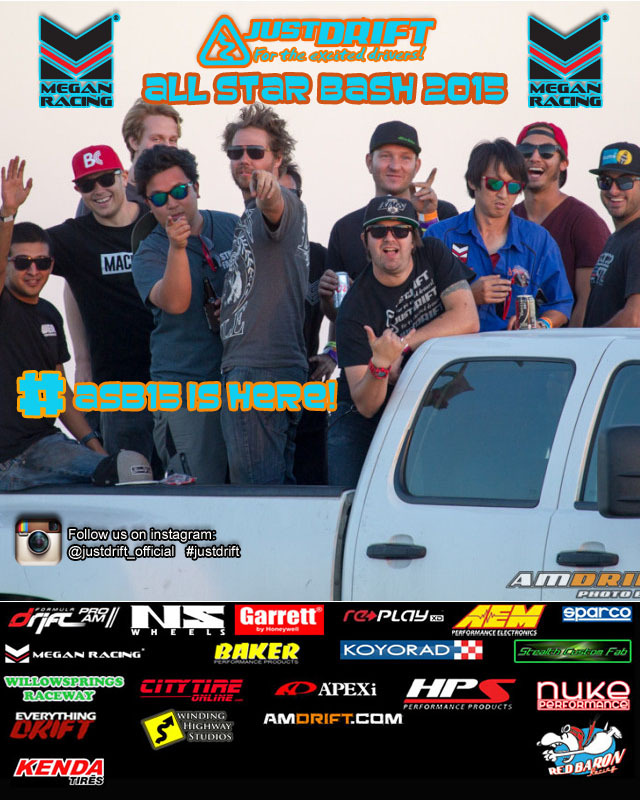 JUSTDRIFT | admin July 1, 2015 | Comments Off on ASB15 IS HERE! PROAM drivers, if you want extra practice time before round 4. This invite is for you!